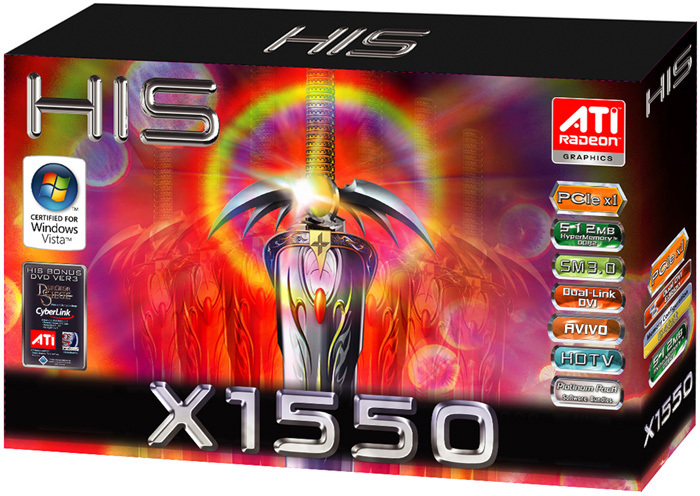 His X1550 256MB (512MB HyperMemory) PCIe x1 is a economical multi-monitoring solution for the Business and Multimedia. It hasa 4 pixels Shader units, a clock memory of 550 MHz and a core memory of 800 MHz. 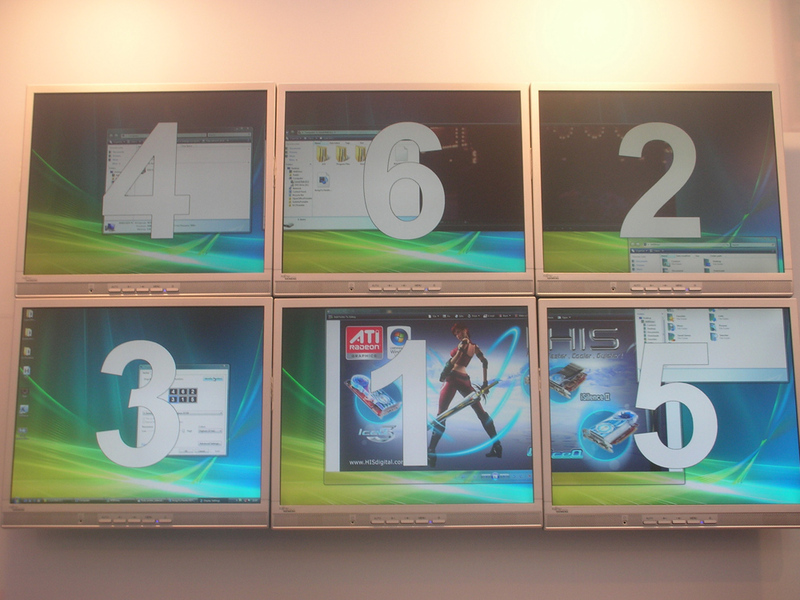 Each HIS X1550 PCIe x 1 card enable user to connect to 2 monitors at the same time and up p to 9 monitors can be connected. User can easily control the setting by the well-known ATI Catalyst driver. 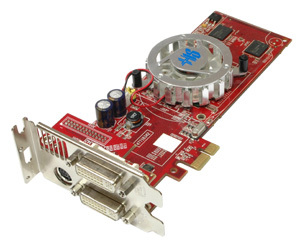 The PCI-X1 slot on nearly all traditional motherboard. Users who need to deal with several applications in the same time, especially to professionals in multimedia field, found multi-montiors setting a huge time saver. The ability to display e-mail on one monitor, a browser window on a second and in some cases an application on a third, and then seamlessly move their cursors from screen to screen, is a clear benefit! Having multiple monitors is more than just having more space. It can be a huge time saver for people! Chipset limitation: such as Intel i910GL, i915PL/GL/GV, i945GZ come with PCIe x 1 but without PCIe x 16 support. Delivers all high-end graphics features for gaming, surfing the Internet and watching digital video at a smart price! HIS X1550 delivers all the high-end graphics features: supports the DirectX 9.0c, OpenGL 2.0 and Shader Model 3.0, and for anti-aliasing with HDR. Avivo™ engine is also included for encoding/decoding the latest video formats, e.g. 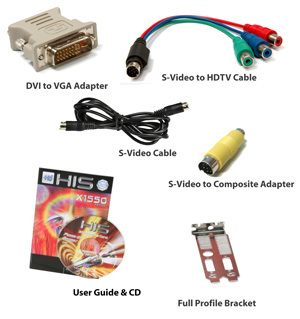 MPEG-4, MPEG2, DivX, and H.264…etc. Prepare your PC with a graphics card that delivers a premium Windows Vista™ experience for playing games, watching movies and viewing pictures. 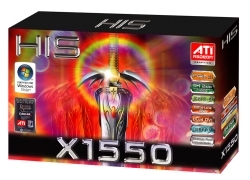 HIS X1550 provides excellent image quality for all gaming, visual and interactive applications.